It would probably be best to track through the ones least used here, but likely to make an appearance in my dissertation, or at very least my prospectus which I will get to working on soon. 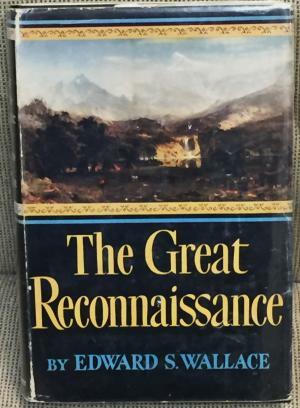 Edward Wallace’s The Great Reconnaissance: Soldiers, Artists, and Scientists on the Frontier 1848-1861 looks at a sliver of time when there was much traveling and reporting back from the American West. Interestingly enough this sliver doesn’t cover much in the way of the miles covered before 48 and after 61. It is a great book, but like many on the same topics, it needs updated and contextualized. It does provide an excellent paper trail for journals and reports to follow. 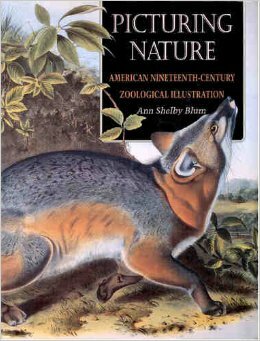 Ann Shelby Blum’s Picturing Nature: America Nineteenth-Century Zoological Illustration is a gorgeous book. Filled with color images from some of the most important works in Natural History. Blum focuses on scientific representation outside of the main thoroughfare of historical enquiry and anyone wanting to know more about people who aren’t Audubon. She also puts Audubon in a natural history (and thus science) perspective. Considering the history of natural history as the history of science should not be that revolutionary, but here we are. 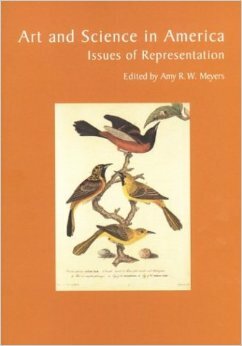 The collected Art and Science in America: Issues of Representation, edited by Ann Meyers, is a collection of papers from a Symposium that was focused on the Huntington’s collection and how two-dimensional images can provide primary source material for understanding the early decades of the 19th century. The book was published in 1998 and was reviewed as part of the “rebirth” of studies in historical natural history. 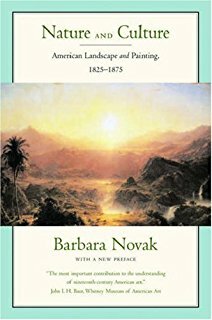 That idea of visual aid as science comes into play well in Barbara Novak’s Nature and Culture: American Landscape Painting, 1825-1875. The idea of scientific representation within government reports might not seem revolutionary at first thought, but where Novak succeeds is providing the general context for the artists–specifically landscape artists– on the government expeditions. 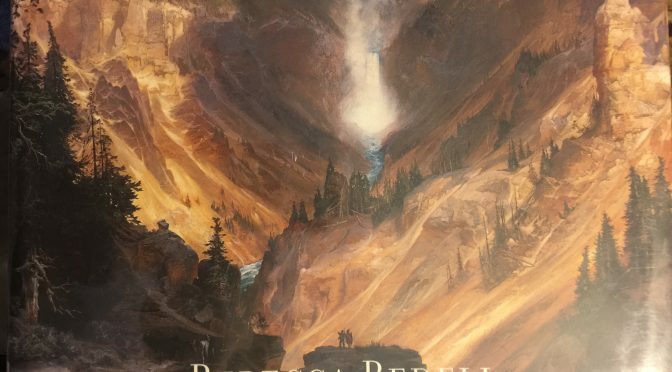 There is much more to this book, and it should be paired with Rebecca Bedell’s The Anatomy of Nature: Geology and American Landscape Painting , 1825-1875 for best results (including forgetting which one you read what in). The landscape was the “New” World’s answer to the Old World’s man made monuments. As technological advances brought photography into the government reports artists were still needed to provide the colors to go with the matching black and white photographs. Both in this sense were visualizations to accompany official reports. They were science, not art. Just like the charts or graphs, photographs and landscapes were supposed to present hard facts and data. Artists even complained that realism was science and not art. 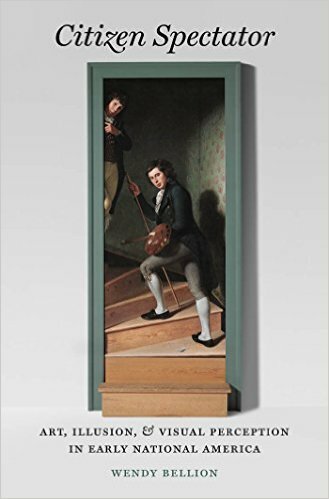 Kenneth Haltman’s Looking Close and Seeing Far: Samuel Seymour, Titian Ramsey Peale, and the Art of the Long Expedition follows the first American expedition with “trained civilians” that is artist on payroll. Lewis and Clark suffered from the lack of artists and the government was not going to repeat that mistake. Titian had watched his father sketch many of the Lewis and Clark specimens as they were deposited in Peale’s museum. While Seymour’s works are rare and Peale’s Long Expedition art is scattered to the four winds Haltman works to provide an account of the first American “artistic” enterprise. 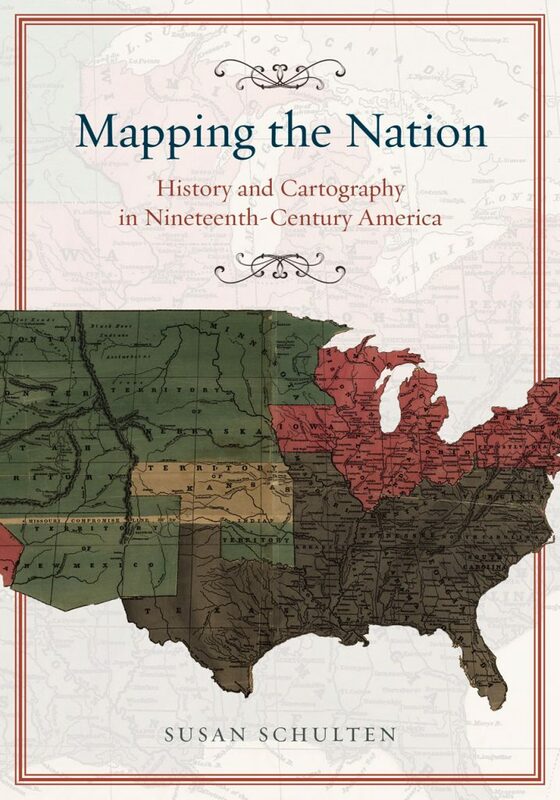 This also serves as a good introduction to my own work, with Lewis and Clark and Long setting the stage for the U.S. 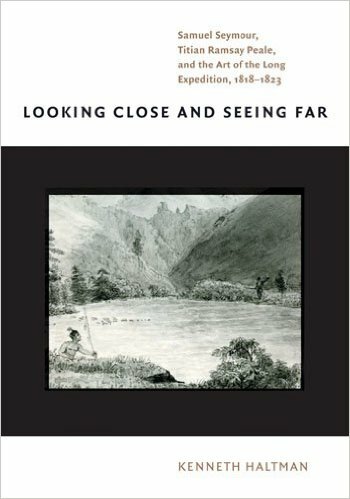 Exploring Expedition, on which Titian was artist and naturalist, just as with the long expedition, but was a naval expedition. Titian provides the best way to understand the differences in naval and army expeditions in the antebellum period. The one thing that Art historians like Haltman and Flores haven’t touched on, but provided an excellent template to work with is that natural history representations are science. Looking at this expeditions and representations as the history of American science in broad terms (more specifically geology and natural history) is sorely lacking from any of the books I have read on this mammoth list. The idea that Titian’s first sketch of the scissor-tail flycatcher is important for art is only half the story. The collections, sketches, and preserved specimens are history of science. You would think this would be low hanging fruit. Then again, maybe it means that my work will not be in vain, lost, or ignored. We will see. I will have to post my wrap up thoughts for this project and the whole year in a few days, exams will be scheduled in the spring and I have some ideas on formulaic academic writing, writing for the academy, and the cost of such works that I will post after I pass exams. Thank you for coming along on this mad road trip and I hope that if you are preparing for your own exams you find some of this madness comforting towards your own work, if you are here for morbid curiosity I hope it was satiated.